In addition to stockpiling emergency food, many preppers are seriously looking at starting a seed bank. The idea is that you will be able to grow food for your family, even in the worst circumstances and when the supermarket shelves are empty. 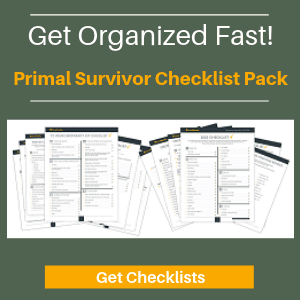 There are a lot of “survival seed” kits available – but don’t rush off and buy one until you read this first! 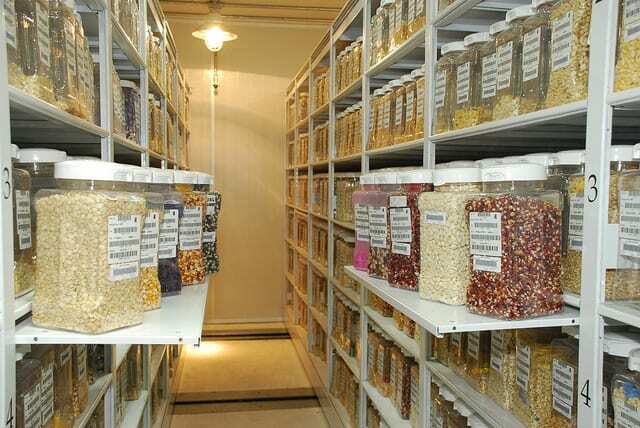 Why Start a Seed Bank? 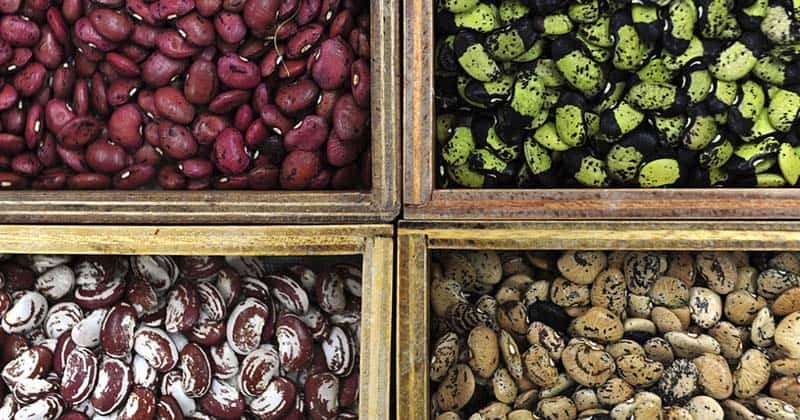 The main reason people start a seed bank is to have food security if a disaster strikes. There is only so much emergency food you can stockpile (I’d recommend a 30-day stockpile at a minimum). 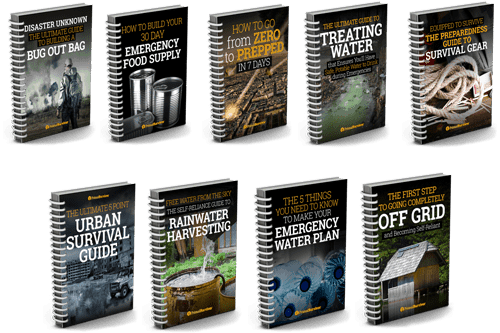 What happens when the emergency food runs out? You’ll need to start growing your own. Another reason some people stock survival seeds is because they are worried that the government or corporations will do away with non-GMO, heirloom seeds. If Monsanto had their way, for example, we’d only have access to their GMO seeds. I personally am not worried about this last scenario. However, if corporations did take control of all crops, it would be nice to know that I have a stockpile of heirloom seeds to grow food for my family. It’s a small but potent way of rebelling! Is a Seed Bank Worth It? My main problem with survival seed kits is that they give people a false sense of security. 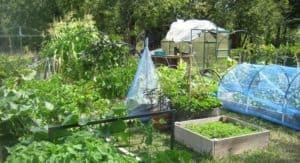 If you have never gardened before, you can’t realistically expect to start producing all your own food in a short time. Gardening takes a lot of skill – and gardening during disaster situations is going to be even more challenging. How much knowledge do you have about gardening? 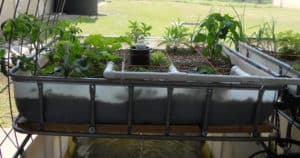 Do you have a secure place for your survival garden? 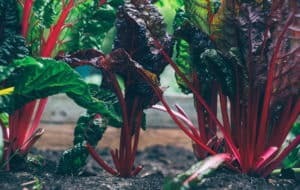 Is the soil suitable for growing? How will you water your garden? What gardening tools do you have? How will you keep your survival garden secret? Don’t wait until a disaster strikes to test out your gardening skills. Not only is gardening a great activity that provides healthy food for your family, but it increases your self-reliance. For disaster prep, you’ll learn what plants thrive best in your area and be better able to plan your seed bank. I was tempted to give a list of the “best” seeds for a survival garden. However, there are no best choices. It depends too much on where you live, the amount of space you have, and how you will be gardening. Open pollinated simply means that the plants can be pollinated by natural methods such as wind, birds, rain, bats, or insects. Some open-pollinated plants will even pollinate themselves. So long as you don’t allow the plant’s pollen to mix with other related species (such as by keeping adequate distance between two varieties of tomatoes in your garden), the plants will remain true year after year. Note that all heirloom plants are open pollinated, but not all open pollinated plants are heirloom. Hybrid seeds (designated by the F1 label) are made by combining two different strains of plant together. The resulting plant has the good characteristics of each plant, making them hardier and easier to grow. The problem with hybrid plants is that they are a “one hit wonder.” The seeds they produce are often sterile. If the resulting seeds aren’t sterile, you don’t necessarily know what you will get. You end up getting offspring which are completely different than the parent. These hybrid offspring are often very disappointing. 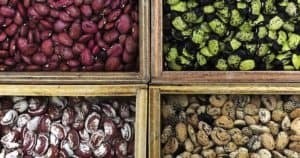 It is better to stick with non-hybrid seeds for your seed bank – you’ll be able to collect the resulting seeds and know exactly what you’ll get from them. GMO seeds are a completely different thing than hybrids. Where hybrids cross two related plants, GMOs use lab methods to cross completely different species – like adding fish genes to a tomato plant. There is a lot of debate about the health and safety of GMO plants. For your survival seed bank, you need to know that plants grown from GMO seeds are usually sterile – you won’t be able to collect seeds from them for future crops. Another issue with GMO plants is that they can cross breed with your non-GMO plants, resulting in strange hybrids. So, while GMO seeds might grow better, it is safer to stick with non-GMO seeds for your seed bank. Heirloom varieties of plants have been getting really popular, but few people actually realize what “heirloom” means. While the definition can vary, an heirloom plant is one that has been passed down through the generations. Each generation of seed was selected for a specific trait. It doesn’t matter if you’ve got quality heirloom seeds if the plant is difficult to grow! 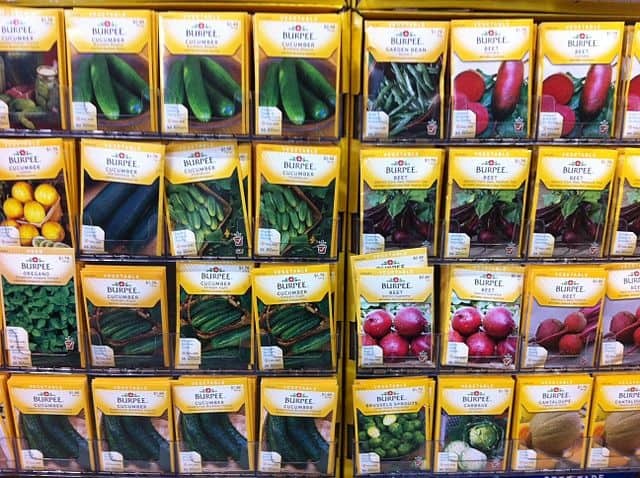 It is really important that you consider whether the seeds are suitable for your area. For example, carrots can be either very easy or challenging to grow depending on your soil. An experienced gardener will know tricks like planting radishes next to the carrots to help keep soil loose. If you aren’t that experienced, you might want to stick to easier plants like green beans. In theory, seeds could be kept viable for hundreds or even thousands of years in the right conditions – like the Judean date palm which was grown from a 2,000-year old ancient seed! Realistically though, most seeds are going to last for about 1-3 years if kept in a dry, cool place away from pests. Most survival seed kits will advertise that their seeds are “guaranteed” for anywhere from 5 to 25 years. They claim to use “special” techniques to promote longevity. Yes – some of these methods might work (such as sealing seeds in a Mylar bag), but a lot of it is probably just hype. If you want to learn more about saving seeds, I recommend reading the book Seed to Seed: Seed Saving and Growing Techniques for Vegetable Gardeners by Suzanne Ashworth. It delves into a lot of great techniques for making seeds last. Keep Cool: Heat is an enemy to seeds. Ideally they should be kept around 40 degrees. If this isn’t possible, choose a consistently cool place to store your seeds, such as in your basement. Consistent Temperature: When temperatures fluctuate, it leads to humidity. Avoid storing seeds in places like your garage where temperatures can fluctuate drastically. Dry Out the Seeds: You need to make sure your seeds are incredibly dry before packaging them for storage. Some people recommend using a food dehydrator at no more than 90 degrees. You can also use the rice method of drying out seeds. Keep Dry: This is incredibly important! You can use moisture absorber packets to keep your seeds dry. For shorter-term storage, you can add some powdered milk to the seed storage containers. The powered milk will absorb moisture and keep it away from your seeds. Avoid Light: This is one reason seeds are packaged in paper packets. If you are storing your seeds in jars, they should be keep somewhere dark like your basement. Choose the Right Container: Mylar bags are the best choice for storing seeds for the long term. Mason jars are also great choices. Use an Oxygen Absorber: Also called desiccants, oxygen absorbers may help seeds last longer. Date and Rotate Your Seeds: Make sure you date the seed packages. Hopefully you are already gardening and can rotate through the seeds each year so they stay fresh. Samples from the CIMMYT seed bank. The seeds are kept at -18 °C in plastic jars or aluminium envelopes. You can easily make your own seed bank from individual packets of seeds that you choose yourself. However, a lot of people prefer the convenience of survival seed kits. There’s no need to worry about drying the seeds and sealing them in Mylar bags with moisture absorbers. Many survival seed kits have 20+ varieties of seeds in them. Just be warned that some of these seeds might be completely unsuitable for your climate or situation. For example, a lot of survival seed banks have watermelon seeds – something that I can’t imagine growing unless your property has a vast water source.